Dr. Klaper is an acclaimed physician, author and radio personality is a staff physician with True North in Santa Rosa, California. ​Dr. Klaper serves as Director of the Institute of Nutrition Education and Research. He has also served as a member of the Nutrition Task Force of the American Medical Student Association, and as an advisor to the National Aeronautics and Space Administration (N.A.S.A.). Caldwell Esselstyn Jr MD. of Cleveland Clinic has shown heart disease can be reversed 100% of the time, using a plant-based diet. Olive oil -- and ANY oil -- increases heart disease, the same way butter does. A closer look at the claims about nuts Jeff Novick, MS RD, is one of the leading minds in the world when it comes to nutrition. He is relied on by the top experts and organizations promoting healthy plant-based eating. In thie comprehensive talk, Jeff reviews all of the major research on nuts and weight loss, heart disease, diabetes, nutrient density -- and many other aspects -- and lets you understand conclusively where nuts stand. Are they a super food, as some claim? After watching Jeff's talk, you will know with certainty the answer to this question. Olive oil has been hailed as the healthy oil for far too long and it’s about time science triumphed over the almighty media on this relentless myth. Most people have been taught at some point or read somewhere that olive oil is a healthy oil to be consumed with fervor. It’s a key component to the Mediterranean diet, which itself has been touted as a heart healthy diet. However, the evidence for these claims just do not stack up and for many people striving to lose weight, it is sabotage city. This is the reality: just like all other oils, olive oil is 100 percent fat, lacks a significant nutrient load, contains a whopping 120 calories per tablespoon, that’s fattening. 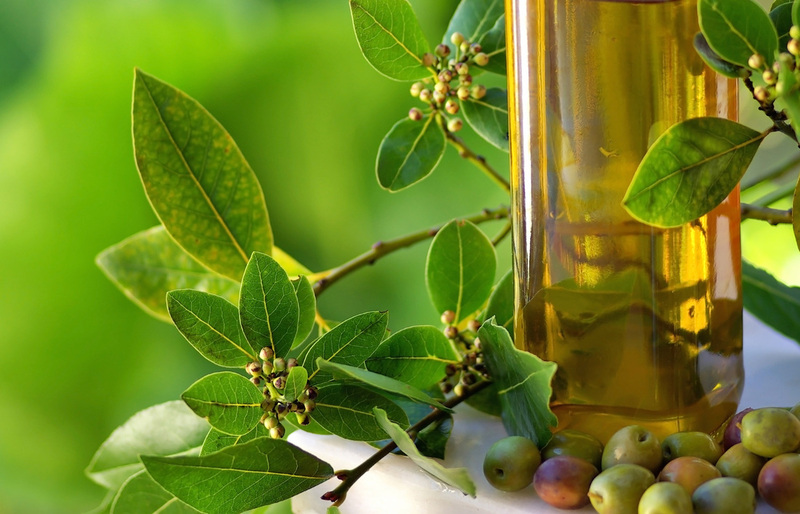 Some have proposed that extra virgin olive oil is heart healthy because it is rich in polyphenols. Polyphenols have antioxidant characteristics and studies show that they reduce the risk of cardiovascular disease and cancer. However, all plant foods are rich in polyphenols and most deliver much more polyphenols (and far fewer calories) than olive oil. If you rely on olive oil for your polyphenols, good luck getting enough. You’d need to consume 5 tablespoons of olive oil, the equivalent of 600 calories, just to get 150 mg of polyphenols, the same amount in 55 calories of lettuce, not to mention hundreds of other nutrients and documented benefit in greens. Study after study links the consumption of leafy greens with healthier, longer, disease-free lives. Probably because they are loaded with all sorts of nutritious compounds, among them vitamins, minerals, fiber, polyphenols, and various carotenoids. In comparison, olive oil, has little or none of these.1 In fact, phytosterols and vitamin E are a few of the slim pickings of nutrients found in olive oil that I decided to do a bit more digging on. Compared to the amount of phytosterols and vitamin E in other foods, olive oil really doesn’t contain that much. 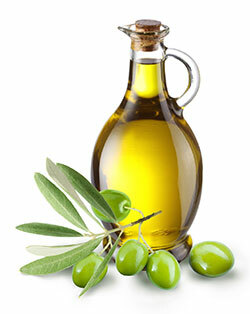 It is also a myth that olive oil lowers LDL (“bad”) cholesterol. Study design is key. Studies linking olive oil consumption to lower cholesterol levels are flawed. Olive oil appears to lower bad cholesterol in most studies because the participants replace animal fats like butter, cheese, and fatty meats with olive oil. Animal fats are composed of saturated fats, which are the most dangerous types of fat. Consumption of saturated fats raises cholesterol levels and elevates the risk of heart disease and cancer. Replacing animal fat with cardboard would lower anyone’s LDL cholesterol levels. We truly are victims of the media. In conclusion, get your healthy fats from whole food sources and not low nutrient oils- olive oil included. The Mediterranean diet might be healthy when compared to other diets, but this is because of the intake of fruits, vegetables, and nuts in that diet compared to the dangerous SAD diet, rather than any supposed benefits of olive oil. And seriously who needs oil when nuts, seeds and avocadoes taste so good! 1. Covas MI; Nyyssonen K; et al.The effect of polyphenols in olive oil on heart disease risk factors: a randomized trial. Ann Intern Med. 2006;145(5):333-341. The New England Journal of Medicine article about how adding olive oil and nuts to their usual diet will reduce their risk of heart attacks by 30 percent. This article has also told them that a low-fat diet fails to help (again). 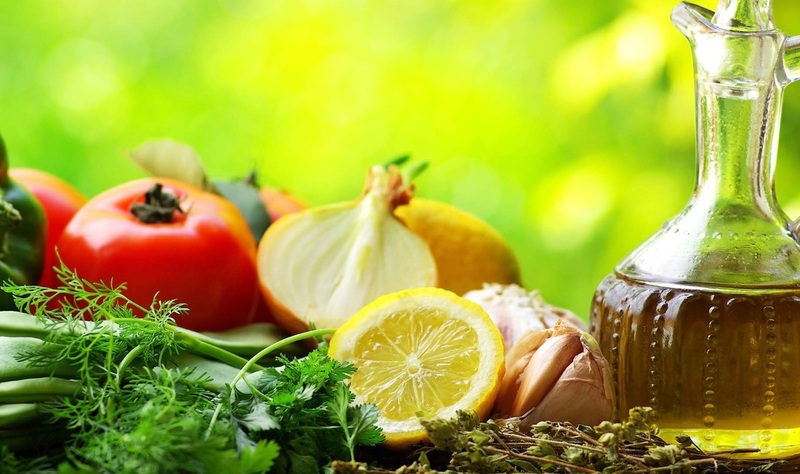 Stroke was the only problem where the tested Mediterranean diet made a real difference. The diet had no effect on heart attacks or death rates overall. The popularity of this message proves once again that “people love to hear good news about their bad habits.” They are reassured that simply by adding more olive oil and nuts you will improve your health…cutting out the brie and beef stroganoff are secondary thoughts. Of course, this diet is an improvement over the usual fare consumed in the US and Europe, and that is why benefits were seen. The study lasted five years and involved about 7,447 people, ages 55 to 80, in Spain. There was no reason to say the low-fat diet is a failure based on this research, because participants in the “low-fat” group made no real change in their diets. In the “low-fat” group, total fat consumption decreased insignificantly from 39 to 37 percent. Why was so little effort placed on teaching and then testing a really healthy low-fat diet like mine (the McDougall Diet is 7 percent fat), and then comparing it with the Mediterranean diet? There was no financial interest in pursuing this end. The vested interest was in selling olive oil and nuts. Two companies supplied the olive oil (Hojiblanca and Patrimonio Comunal Olivarero), and the nuts came from a nut producer in Spain (La Morella Nuts) and the California Walnut Commission. Plus many of the authors have extensive financial ties to food, wine, and other industry groups. One major disadvantage of replacing saturated fats (meats and dairy) with olive oil and nuts is that there is no weight loss from exchanging one type of fat for another: “The fat you eat is the fat you wear.” When this same group of researchers published their earlier findings in 2006 they found that their “olive oil" group lost less weight than did the “low-fat” group (0.19 Kg) and the “nut” group lost about the same (0.26 Kg) as the “low-fat” group in 3 months.1 (Remember they were not really following a low fat diet.) With the McDougall diet we have found an average weight loss of five times as much, 1.6 Kg (3.5 pounds), in a week and participants are encouraged to eat as much as they want, buffet style. The obesity-causing effects of all that olive oil are also seen in the countries in southern Europe. When 54 obese women in a Mediterranean country were studied, they were found to be following a diet low in carbohydrates (35% of the calories) and high in fats (43% of the calories)…and 55% of the total of these fats came from olive oil. 2 Overweight and obesity lay the foundation for type-2 diabetes and degenerative arthritis of the lower extremities, as well as cancer, heart disease, and strokes. ​Does Olive Oil and Eating Nuts Really Prevent Heart Disease? * Serial angiograms of people’s heart arteries show that all three types of fat — saturated (animal) fat, monounsaturated (olive oil), and polyunsaturated (omega-3 and - 6 oils) — were associated with significant increases in new atherosclerotic lesions over one year of study.3 Only by decreasing the entire fat intake, including poly- and monounsaturated-oils, did the lesions stop growing. I believe the reason this New England Journal of Medicine study shows benefits is because the people in the Mediterranean diet group reduced their intake of meat and dairy foods and increased their intake of starches (cereals and legumes), vegetables, and fruits. The inclusion of olive oil and nuts was not a “magic pill” that spared their ailing arteries from forkfuls of bacon and eggs. However, the reader should consider these findings of this study important because they do show that people can change their diets when instructed to do so and that removing animal foods from the diet is beneficial. But recommending more olive oil, nuts, seeds, and fish is not the message people deserve to hear. They need to know that a truly healthy diet provides the bulk of the calories from traditional starches, like rice, corn, and potatoes. Commercialism needs to be eliminated when life and death issues for you and your family are at stake. 1) Estruch R, Martinez-Gonzalez MA, Corella D, Salas-Salvado J, Ruiz-Gutierrez V, Covas MI, Fiol M, Gomez-Gracia E, Lopez-Sabater MC, Vinyoles E, Aros F, Conde M, Lahoz C, Lapetra J, Saez G, Ros E.Effects of a Mediterranean-Style Diet on Cardiovascular Risk Factors: A Randomized Trial. Ann Intern Med. 2006 Jul 4;145 (1):1-11. 2) Calle-Pascual AL, Saavedra A, Benedi A, Martin-Alvarez PJ, Garcia-Honduvilla J, Calle JR, Marañes JP. Changes in nutritional pattern, insulin sensitivity and glucose tolerance during weight loss in obese patients from a Mediterranean area. Horm Metab Res. 1995 Nov;27 (11):499-502. 3) Blankenhorn DH, Johnson RL, Mack WJ, el Zein HA, Vailas LI. The influence of diet on the appearance of new lesions in human coronary arteries. JAMA. 1990 Mar 23-30;263 (12):1646-52. 4) Felton CV, Crook D, Davies MJ, Oliver MF. Dietary polyunsaturated fatty acids and composition of human aortic plaques. Lancet. 1994 Oct 29;344 (8931):1195-6. 5) Rudel LL, Parks JS, Sawyer JK. Compared with dietary monounsaturated and saturated fat, polyunsaturated fat protects African green monkeys from coronary artery atherosclerosis. Arterioscler Thromb Vasc Biol. 1995 Dec;15 (12):2101-10. 6) Larsen LF, Bladbjerg EM, Jespersen J, Marckmann P. Effects of dietary fat quality and quantity on postprandial activation of blood coagulation factor VII. Arterioscler Thromb Vasc Biol. 1997 Nov;17 (11):2904-9. 7) Keys A. Mediterranean diet and public health: personal reflections. Am J Clin Nutr. 1995 Jun;61 (6 Suppl):1321S-1323S.